Ideally located in the city center, HQ offers attractions ranged from mega-shopping centers, vast green and lake area, to worlds renowned red-light district. Conveniently situated near 2 skytrain stations, and offered friendly and English-fluent staffs, HQ Hostel is an ideal destination for those who seek a unique living experience in Bangkok. Beside the best bed and great quality sleep while staying with us, you can enjoy Free High-speed internet is also available for those who wish to connect to your family or catch up with the worlds events, drinking variety of beers or watching worldwide sports plus English, Italian, German league football matches every night, new-released movies and other entertainment programs at our get-together area. Books and magazines of choices are offered at complimentary at our library corner. And for those who prefer exotic nightlife, Patpong, Bangkoks infamous red-light district is only steps away. Inspired by the vibrant, artistic energy that fuels international travelers, HQ Hostel Bangkok has been designed to blend the attributes of modernity with a unique and creative sensibility. 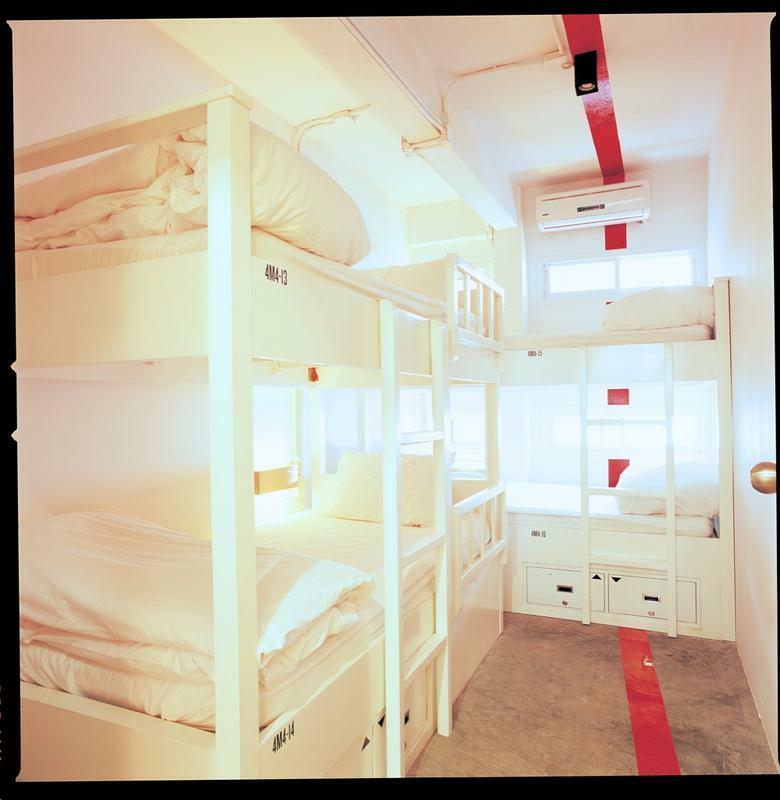 HQ Hostel Bangkok sets stage for its reinvention of hostel. Futuristic faade, neatly polished cement floors, wooden elements with metal furnishing. The new visual experience. We offer unique presentation and extraordinary experiences with convenience and clean environment. Through passion for traveling, we believe in not devaluing the elements of citys experience, friendship, and imagination. We have an ambition to build a fresh, imaginative hostel business exceeding customers expectation, whilst developing long-term relationships with our guests. We commit to provide outstanding assistance for worlds explorers by our staff professionalism. And finally, global warming is our major concern. We are part of the campaign. We will try to create less waste as much as we can. 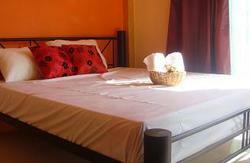 HQ offers a safe, comfortable and affordable accommodation. Each space filled with its original personality and fulfilling friendship experience, while offering inspiring comfort and modernity. All rates are including of 7% VAT. *Thanks to free high speed Internet especially for our guests with ADSL internet access and fast computers, you can keep in touch with friends and family through out the world. Or connect your digital devices to load and burn CDs and DVDs for your memory during your trip. Finally, we know that you concern about global warming too. Why not act now! Help saving the world by reusing your linen during your stay. No matter where you stay, please join this campaign. We are all in the same world. 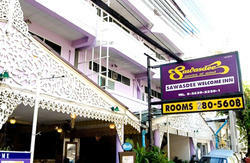 HQ hostel is located in the heart of Bangkok and center of all available transportation systems. Within 20 meters from Silom Road in Soi Phiphat, next to Bangkok Bank head office. Just steps from our hostel, you will find a huge variation of food and clubs that fits with your own desire. And for those who prefer exotic nightlife, Patpong, Bangkoks infamous red-light district is only steps away. From Suvarnabhumi Airport to Silom Soi 6 or Bangkok Bank Head Office. About 300 THB/ round plus airport fee 50 THB; not include the express way fee, Normally 45 baht in then 25 baht on top of the fare. You can reach HQ by take bus number 514, 77, 15 and 76 to Bangkok Christian Station on inbound route . Simply ask the driver to go to Bangkok Bank Head Office on Silom Soi 3.